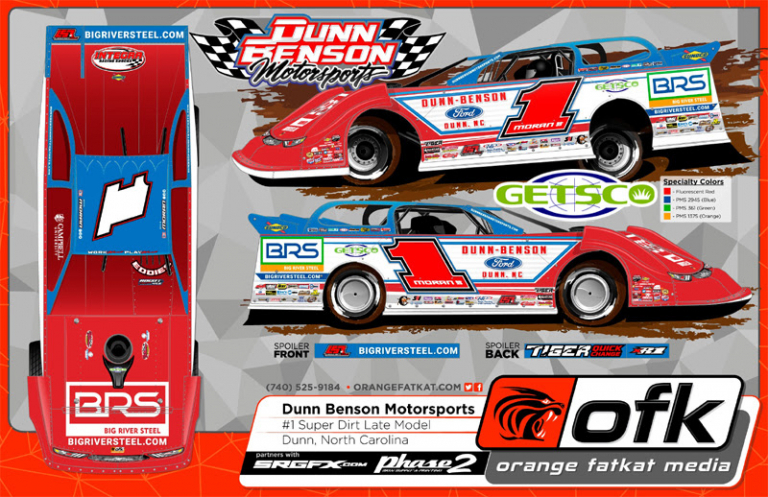 Dunn, NC (January 30, 2019) – Dunn Benson Motorsports is excited to announce GETSCO has signed on as an associate sponsor of the race Team and driver Devin Moran in 2019. The Big River Steel / Dunn Benson Ford / GETSCO Race Team will compete on the Lucas Oil Late Model Dirt Racing Series, contending for the National Championship and Rookie of the Year honors with young gun Devin Moran behind the wheel in 2019. GETSCO is a privately held company and a leading agricultural chemical and sitework material supplier in the Carolinas. Their multiple warehouse locations allow them to deliver competitive pricing and superior service on quality commodity and specialty products to customers throughout the region. Their staff has over 150 years of combined industry experience. With qualified product specialists in agricultural chemicals and certified professionals in Erosion & Sediment Control and Storm Water Quality leading their staff, GETSCO provides quality products, competitive prices and technical solutions to their valued customers. To learn more about GETSCO visit their website at www.GETSCO.net. “We are thrilled to have GETSCO on board as a partner in 2019. GETSCO’s partnership with Dunn Benson Motorsports is a direct result of the TV package and the increased popularity of the Lucas Oil Late Model Dirt Series in 2019,” stated Kemp Lamm. We’re looking forward to working with GETSCO and helping to expand their brand, building relationships, and putting the Big River Steel / Dunn Benson Ford / GETSCO Race Team with Devin Moran in Victory Lane in 2019,” Lamm concluded.